Rugged construction with rubber grip. 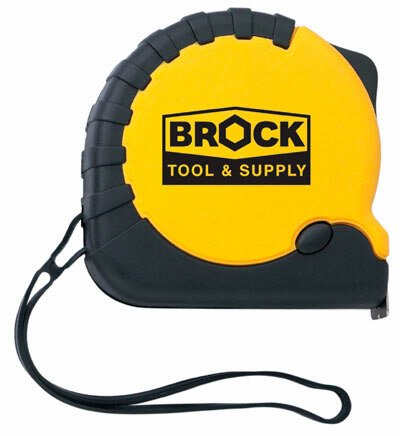 This tape measure is a great gift or premium with a large imprint area. Rugged construction with rubber grip makes this tape measure a handy tool. This makes this tape measure a handy tool. Priced well with perceived value. 3 x 3 x 1 5/8"
Individually Poly Bags / 38 lbs / 50 pcs.